We have a passion for creating palate-pleasing cocktails. Our motto? The bolder the better. But while we love getting creative and exploring innovative new cocktails, there’s also a great deal of character in the classics. In particular, there’s one we just keep coming back to: The Martini. The martini is an icon in the world of spirits. Its simplicity and balance allow the taste of the ingredients to shine. Try a Van Gogh Vodka martini, and you’ll notice the unique flavor characteristics derived from our harmonious blend of Dutch, French, and German wheat. Our wheat from Holland offers a slightly salty and dry taste, while the French wheat possesses a sweeter profile and the German wheat a mineral edge. Ultra-smooth from our unique triple distillation method, a Van Gogh Vodka martini is bold, soft and perfectly balanced. Ready to order a martini, but don’t know where to begin? This may require some experimenting. As simple as the martini appears, there are many ways to make it your own. 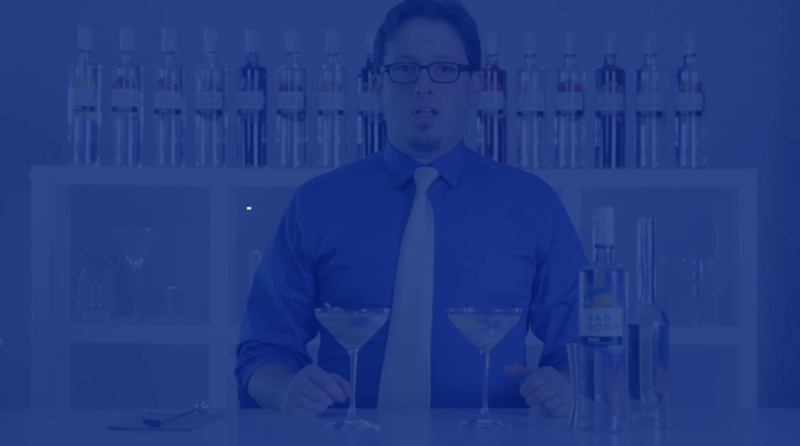 We’ve enlisted The Cocktail Guru, Jonathan Pogash, to help decipher between the wide variety of mixology-lingo, such as shaken vs stirred and wet vs dry, so you can order the martini you really want. Find your favorite or get creative with new combinations; there are no limits to mastering the martini. Discover our Classic Martini recipe here.